We have a limited number of rooms held at the Kellogg Hotel and Conference Center on the Michigan State University campus (the same venue hosting the conference) for a rate of $108/night. 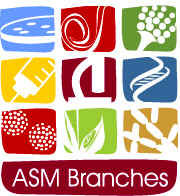 If booking by phone, refer to the American Society of Microbiology MI branch meeting. If booking online use the group code 1703AMERIC. Rooms will be reserved until February 24th after which they will be sold at the regular rate ($139-$179/night).